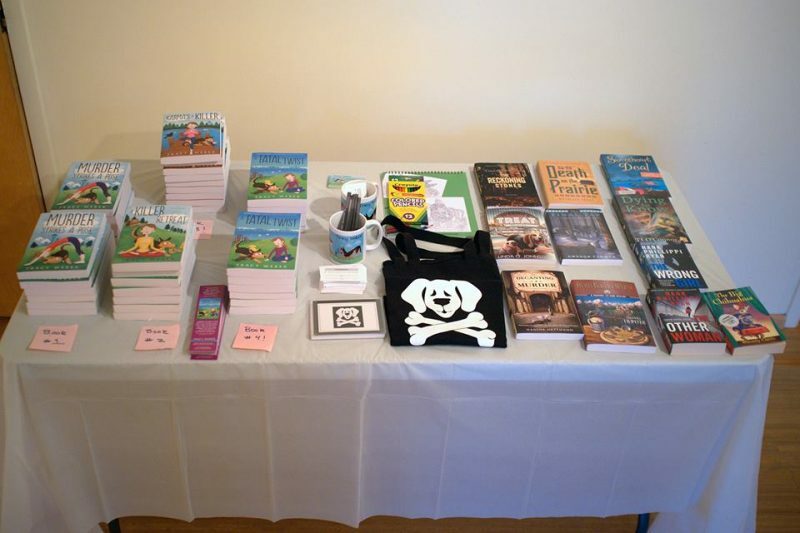 I had so much fun during my book launch this month! Below are a few photos and highlights from early book reviewers. Thanks to those of you who joined me. If you haven’t read A Fatal Twist yet, I hope you’ll give it a try! Edmonds Bookshop Art Walk: The Edmonds Bookshop is truly my favorite little gem of a community book store. Be sure to check it out the next time you’re in the area. Ask them about the book of poems by dogs. So cute! Seattle Mystery Bookshop—hanging out with the awesome Gigi Pandian! Look at all of those pretty books! Whole Life Yoga Book Birthday Party. What a bunch of awesome fans and killer prizes! Blog Tour Reviews: I’m so pleased with the initial reviews of my newest book. Loving it! Writing each Downward Dog Mystery takes about a year, and involves more hours than you can even imagine. I’m already looking forward to next year’s launch events! This entry was posted in dog books, Downward Dog Mysteries, Gratitude, writing and tagged A Fatal Twist, Cozy, cozy mysteries, cozy mystery, dog mystery, downward dog mysteries, downward dog mystery, Tracy Weber, writing on January 30, 2017 by Tracy Weber. Today’s my day to blog at Inkspot, the blog for authors of Midnight Ink. I’m discussing My puppy love, Ana, and how she has influenced my writing in A Fatal Twist. This entry was posted in dog books, dogs, Downward Dog Mysteries on January 23, 2017 by Tracy Weber. I’m so excited! 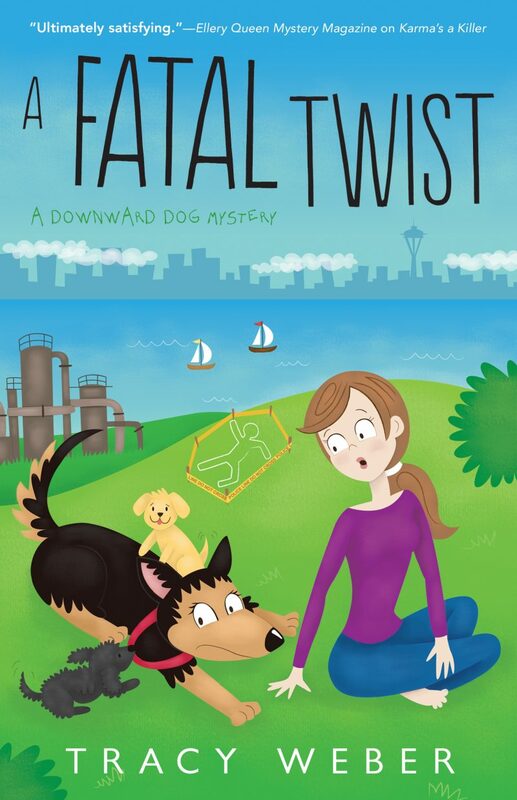 A Fatal Twist, the fourth book in my Downward Dog Mystery series, launched on Sunday, January 8! As always, it’s going to be a month of celebrations. The Facebook Launch party was yesterday, but there are still lots of ways you can join in the fun. Great Escapes is hosting me again for a fabulous nineteen-stop tour. Book blasts, reviews and a few articles written by yours truly. I hear there will even be a prize or two! Thursday, January 19th, 5:00 – 8:00 PM. Make an evening of it in this delightful Western Washington city. Participating businesses feature local artists, and there are even wine tastings. This is one of my favorite places to hang out with readers! Saturday, January 28th, 12:15 – 1:15 PM. This time I’m doing a joint signing with author and friend, Gigi Pandian, so you get two authors for the price of one! (aka free!) This lovely mystery shop is a Seattle gem, so please join me and help support it. Whole Life Yoga Book Birthday Party! Sunday, January 29th, 12:30 – 2:00 PM. No, we don’t do yoga at the party, but we do have music, prizes, yummy vegan desserts, and a bottle of bubbly or two. I generally talk or read for about 15 minutes at 1:00, then it’s all party and prizes all the time! I hope to see you at one or more of the events. Please know that I adore each and every one of my readers. Without you I would have given up on writing years ago. A Fatal Twist can be found at Amazon and Booksellers everywhere! 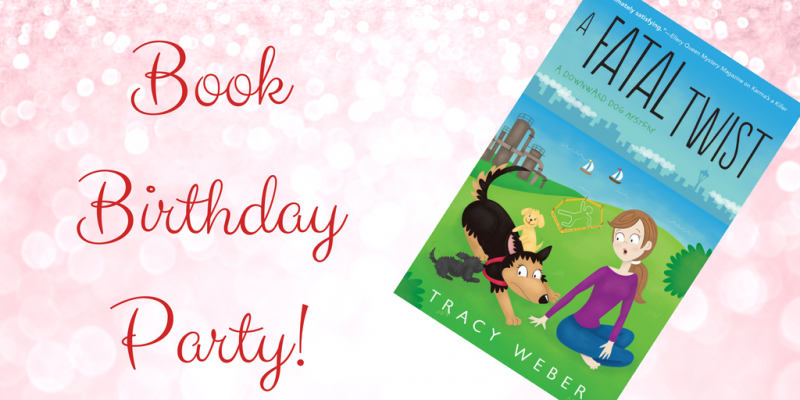 This entry was posted in Downward Dog Mysteries, Gratitude, writing and tagged A Fatal Twist, Cozy, cozy mysteries, cozy mystery, dog, dog mystery, downward dog mysteries, downward dog mystery, gratitude, Tracy Weber, writing on January 9, 2017 by Tracy Weber. My Fourth Downward Dog Mystery, A Fatal Twist will officially launch this Sunday. I’m never sure how many people will read the book. A smaller subset will look at the acknowledgement pages. So today’s blog article features those pages, in hopes that my gratitude for those individuals will spread further. Here’s to all of the wonderful people who influence and inspire me. I appreciate you all. To Michelle. Of all of my lifelong friends, you influenced me the most. I miss you. Publishing can be a brutal industry. Most writers have days in which we wonder why we continue storytelling. For me, the answer is simple: my readers. Thank you for each e-mail, Facebook post, letter, blog comment, tweet, and review. Without you, I’d have given up long ago. A Fatal Twist has a special cast of supporters I’d like to acknowledge. As always, thanks to my agent, Margaret Bail, editors Terri Bischoff and Sandy Sullivan at Midnight Ink, and freelance editor Marta Tanrikulu, who all give me invaluable help and feedback. Special thanks go to three awesome readers: James D. Haviland, who came up with the book’s title, Penny Ehrenkranz, who named the puppies in this book, and Becky Muth, who named Rene’s twins. My husband, Marc, and my real-life Bella, Tasha, will always be the lights of my life. We lost Tasha this year, but she continues to be my inspiration. Without her, this series would never have come to fruition. 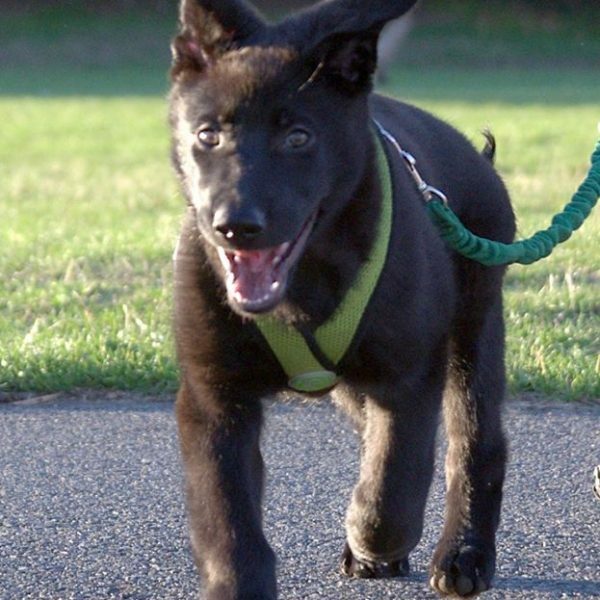 My new baby German shepherd, Ana, is teaching me how to write about puppies, and I’m grateful for the belly laughs she gives me each day, even when she chews up my manuscript. Marc gets extra kudos for designing and maintaining my author website, as well as for listening to all of my grumbles. Finally, thanks go to my mother, Marcia, who was always my biggest fan and my best friend, Michelle, who inspired Rene in the series. You are both missed. This entry was posted in dog books, Downward Dog Mysteries, Gratitude, writing and tagged A Fatal Twist on January 2, 2017 by Tracy Weber.